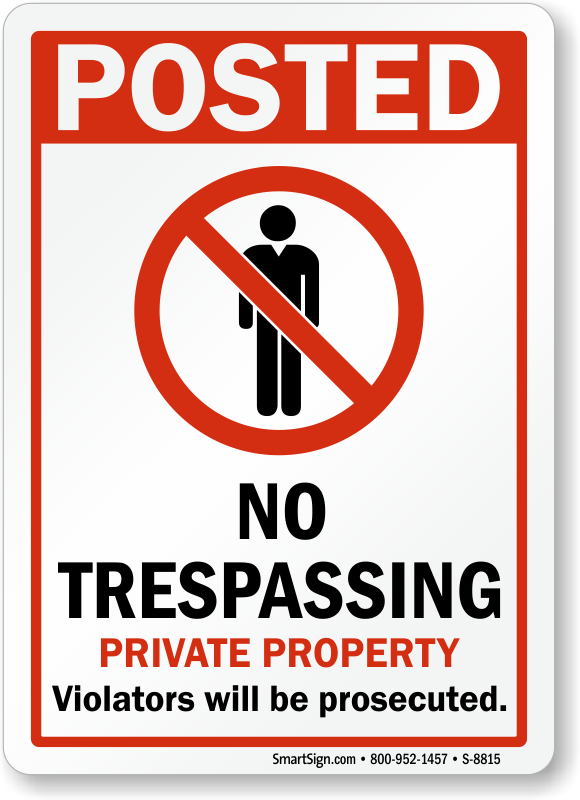 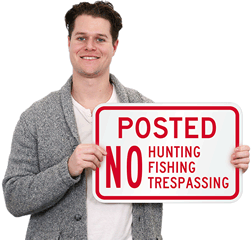 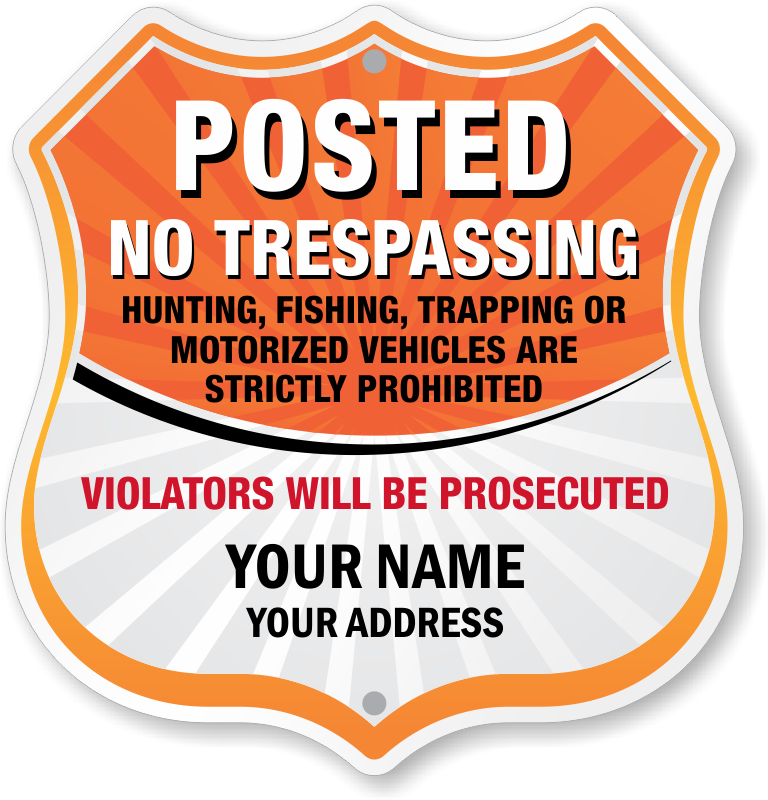 Posted No Trespassing Signs on your land effectively deter unauthorized entry and use. 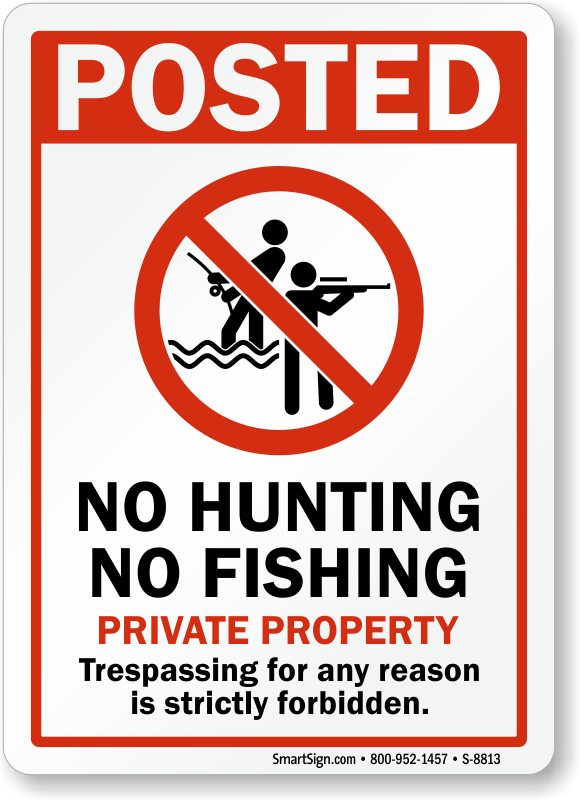 • Pick a design that expressly prohibit activities you wish to ban. 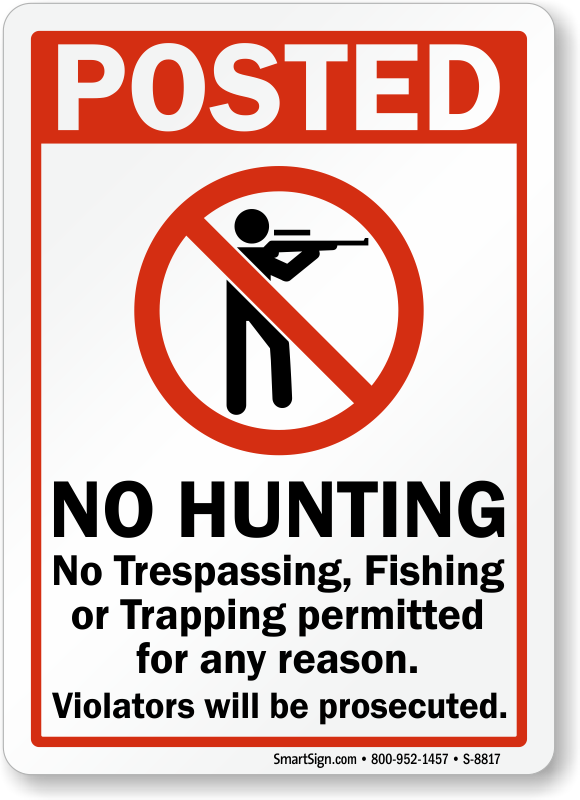 Choose from signs against hunting, fishing, trapping, entry of vehicles and more. 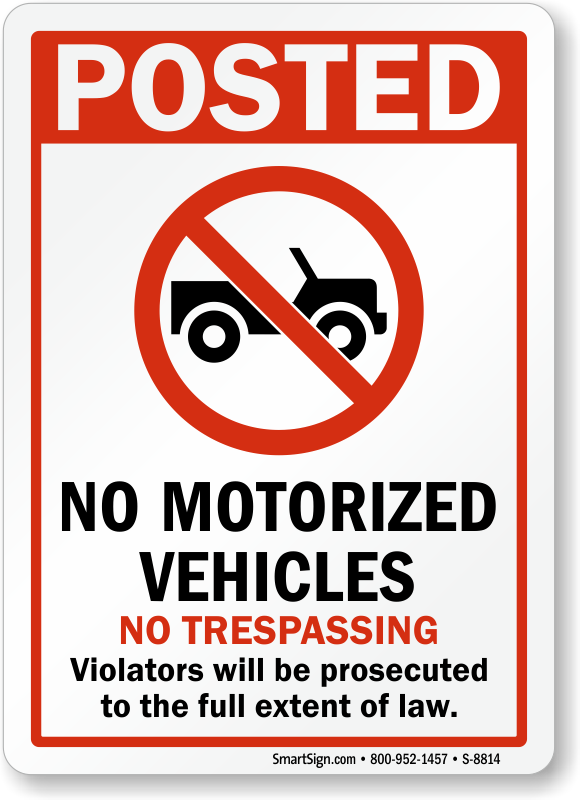 • Depending on your need, you can get a prominent, heavy-duty aluminum sign for use at key locations. 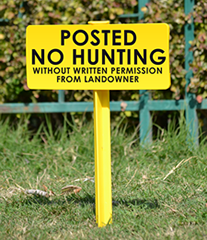 You can also opt for a sign book if you want to quickly staple notices all around the property.